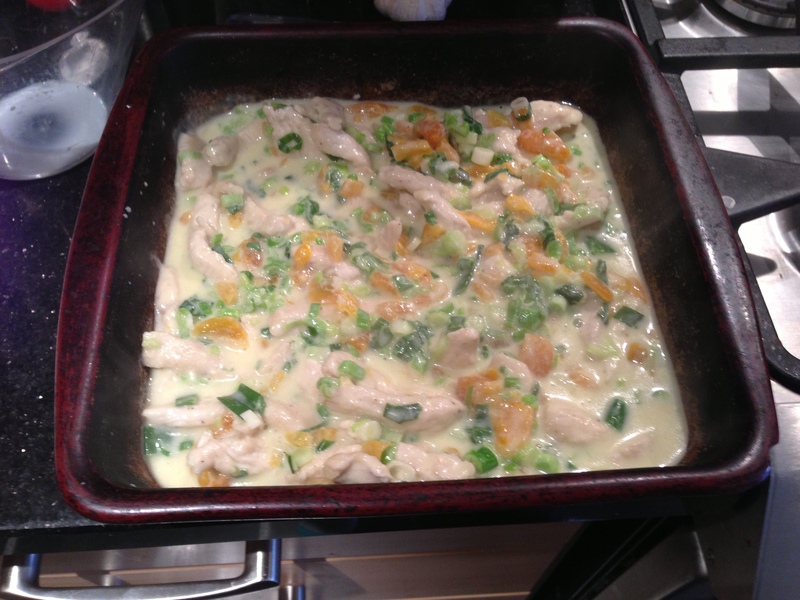 This is a real family favourite and is an adaptation from a Sainsbury’s TV recipe from years back. This takes just a few ingredients and makes something truly delicious. Coat the turkey strips in the flour seasoned with pepper. 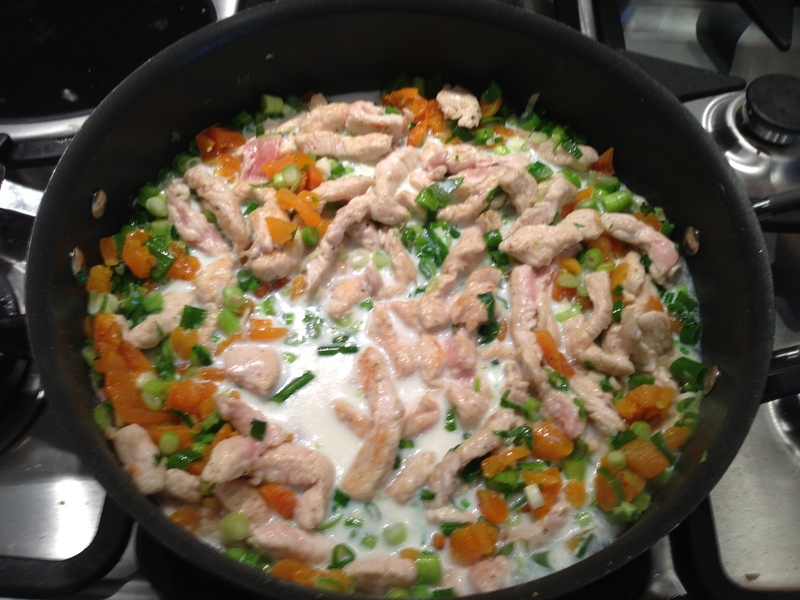 Stir in the onions and apricots, then add the milk. Cook for a further 2-3 minutes stirring until thickened and smooth, then stir in 75g of the cheese. Transfer the mixture to Stoneware Baker (I’ve used my Square Baker). 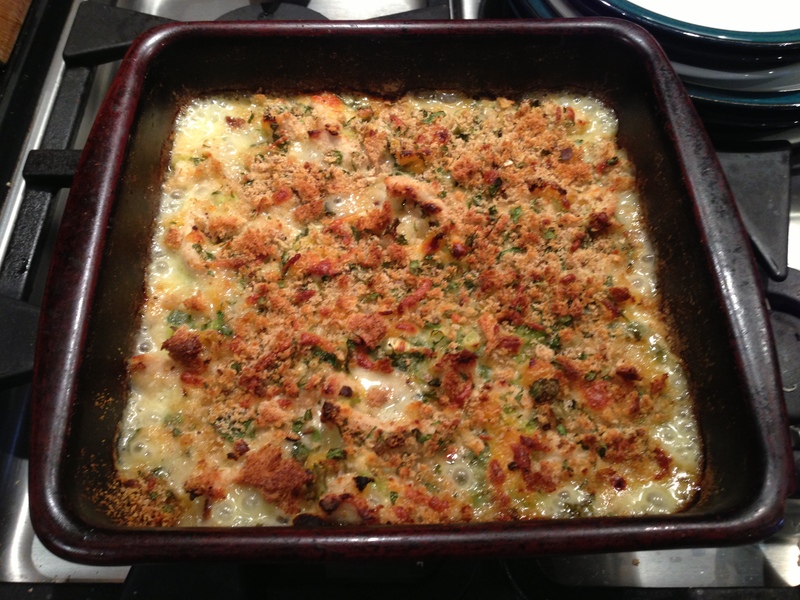 Mix together the Breadcrumbs, Parsley and remaining Cheese and sprinkle over the turkey mixture. Bake in preheated oven for 15 minutes. I serve with Rice (cooked with Rice Cooker Plus) and Steamed Broccoli. This is a dish from my childhood, which I still eat quite regularyl! I was told it was a Sainsbury’s one, but couldn’t find anything on the internet – until your blog ;). Next step is to convert workmates! I’m glad you found it! I too remember being made this by my mum. And yes, this an adaptation of the Sainsbury’s one. glad i decided to look at your blog miss this dish had it years ago lost it now its back to the kitchen this week thanks. I’m so glad you have found this useful! 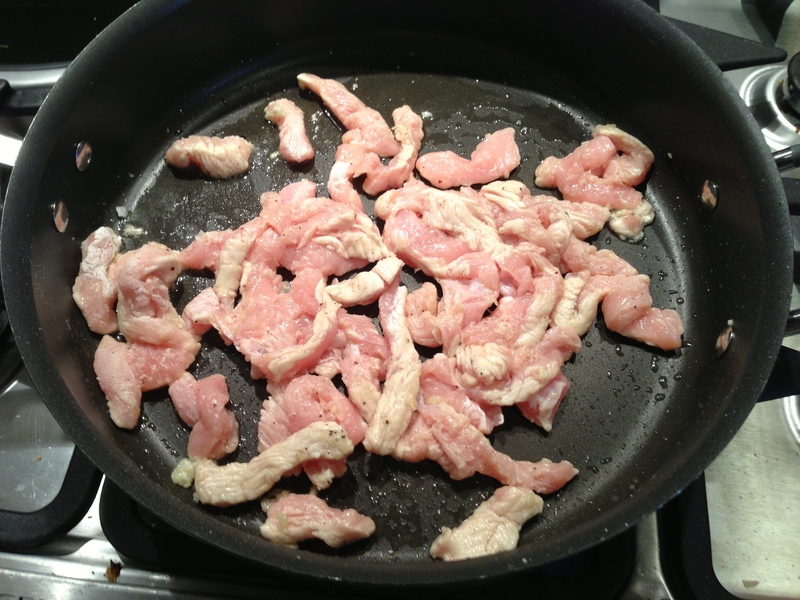 It is one of the reasons I started my blog – a receptacle for all my old recipes!